4 Commercial Real Estate & Properties in Ballajura are listed in 3 categories. 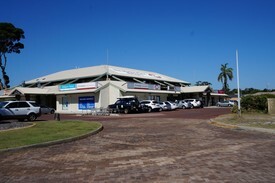 We have 2 Retail ShopsLease , 1 Industrial Warehouses Lease and 1 OfficesLease . 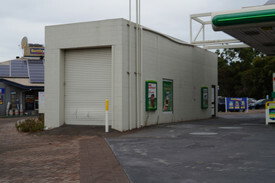 65 sqm Building situated within busy service station Ex mechanical workshop Ideal for drive through coffee or other drive through opportunities To view or for more information call Daryl Brown on 0418 946 469 or Lisa Burden on 0408 160 262. 1st Floor Office In Shopping Centre - Available Now $19,000 p.a plus GST (Gro..
Get amongst other businesses in the busy Market Place Shopping Centre, Ballajura. Located just off Alexander Drive on the corner of Illawarra Crescent North. 1st Floor Office 98 sqm open plan High ceilings Air conditioning Natural light Plenty of car parking Rent $19,000 per annum plus GST (Gross Lease, includes Outgoings) For a viewing or further information contact Daryl Brown on 0418 946 469 or Lisa Burden on 0408 160 262.